Office closed on Fridays, weekends & holidays. Interpretive Center hours vary, call park office in advance. 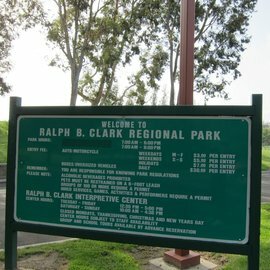 Ralph B. Clark Regional Park is nestled at the foot of the Coyote Hills. 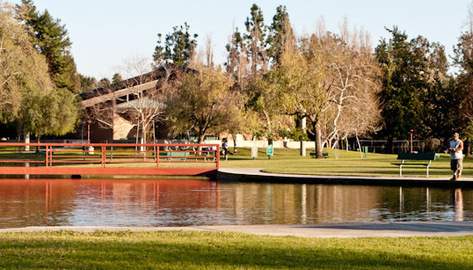 The 104 acre property extends north and south of Rosecrans Avenue with the softball complex. 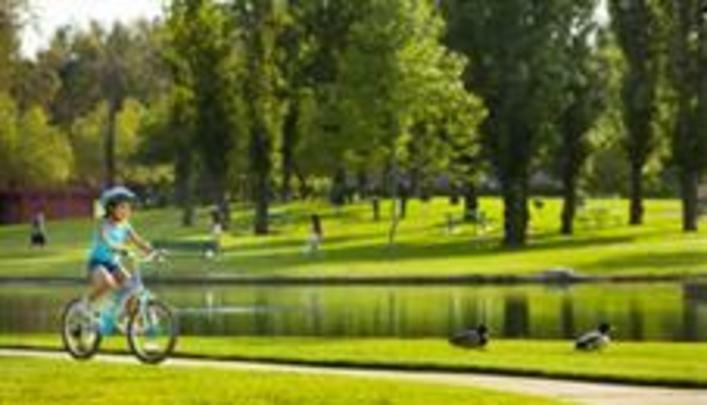 The park lands range from large open grass areas, to gently rolling hills of native plants, to sheer sandstone cliffs to the north. Dogs Permitted: on a 6' leash at all times. OC Parks would like to invite you and your kids to a fun morning of fishing at Clark Regional Park. 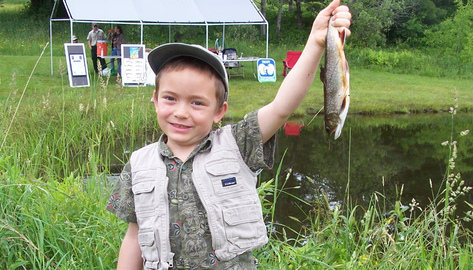 This Kids' Fishing Clinic (ages 15 and under) is designed to teach kids how to fish, while giving th em an opportunity to catch a few from the lake. Please bring your own fishing pole. 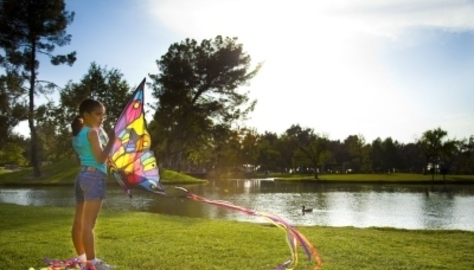 If you do not have a fishing pole, a small number may be available for loan. The lake will be stocked with catfish and there will be a two-fish limit. Prizes will be available for the largest fish caught!